nm013 - Brand New - The Super Nintendo Entertainment System: Super NES Classic Edition has the original look and feel of the ’90s home console, only smaller. 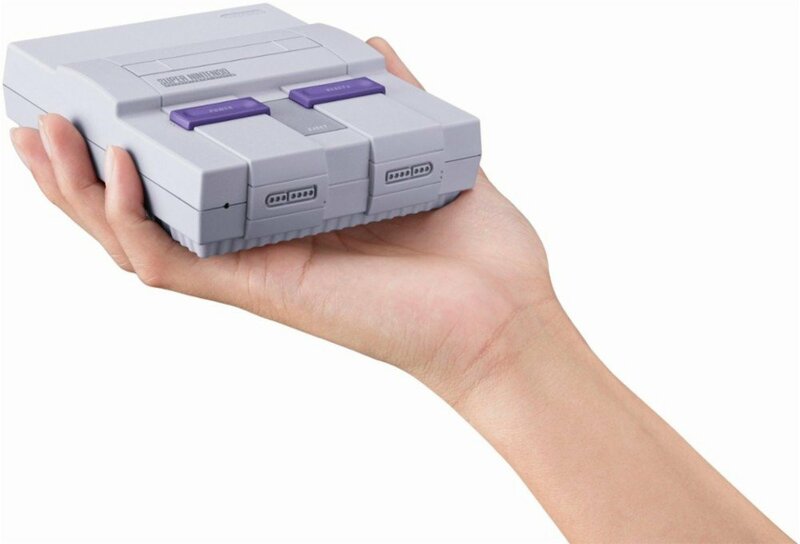 With this system you get some of the best 2-player games of the era, including Super Mario Kart, Super Mario World, Contra III: The Alien Wars, The Legend of Zelda: A Link to the Past, Donkey Kong Country, Super Metroid, EarthBound, Final Fantasy III, F-ZERO, Super Castlevania IV, Super Mario RPG: Legend of the Seven Stars, Kirby: Super Star, Kirby’s Dream Course, Mega Man® X, Secret of Mana, Star Fox, Star Fox 2, Street Fighter II Turbo: Hyper Fighting, Super Ghouls ’n Ghosts, Super Punch-Out!! and Yoshi’s Island. The Super NES Classic Edition is compatible with the Classic Controller and Classic Controller Pro accessories. Just plug it in and play. From your first ride on Yoshi to the final heart-pounding escape from Planet Zebes, the Super Nintendo Entertainment System is pure 16-bit retro gaming perfection.